Is there any paperwork or document for the mechanical systems of 11 Brider Cres, Ajax, Ontario? I need more information about the property at 11 Brider Cres, Ajax, Ontario. 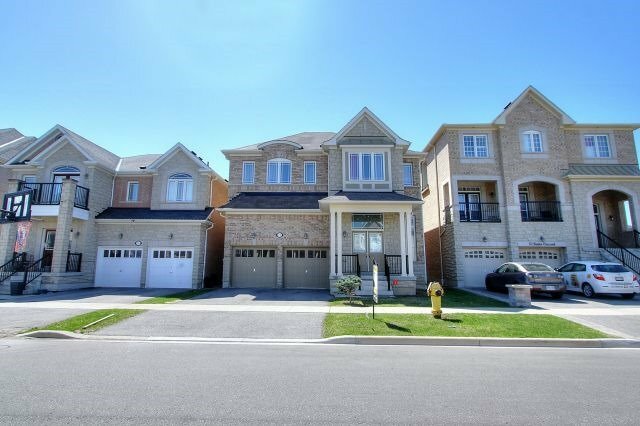 How ist the neighborhood, location and nearby amenities for 11 Brider Cres, Ajax, Ontario? I have questions about the roof, foundation, insulations and mechanical issues of 11 Brider Cres, Ajax, Ontario? I need more information about property details. What's wrong with this house? Is this a short sale? Is there any maintenance for 11 Brider Cres, Ajax, Ontario? What is this property worth in today's market? What are "closing costs", and how much? What steps should I take when looking for a home loan? What price home can I afford? Is my credit good enough to buy this house? What are the best mortgage options for me? How flexible is the seller on the asking price? How low can I consider offering for 11 Brider Cres, Ajax, Ontario? 6 Years Magnificent Open Concept Medallion Built Home W/Approx 3,000 Sq Ft Of Living Space, More Than 50K Spent On Builder Upgrades,Include Granite Counter W/Center Island, Hardwood Throughout M/F & All Bedrooms, Solid Oak Stairs With Iron Picket Railing.12 Ceiling In Liv/Din Rooms, Large 11 Ceiling Master Bedroom With Her/Hers Walk In Closet,5Pc With Glass Shower In Master Ensuite, New Prof. Paint, Upgraded Cabinets & Range Hood, Separate M/F Laundry Room. All Existing Stainless Steel Lg Stove, Fridge, Dishwasher, Washer & Dryer, Crown Range Hood, Central Vacuum System, Air Cleaning System, All Upgraded Lights Fixtures And High End Customized Window Coverings.